Discussion in 'Star Style' started by beatgobum, Feb 3, 2009. "La Belle Personne", she played the main character, Junie, with Louis Garrel among others and she will soon be seen in Quentin Tarantino´s "Inglorious Basterds". She was also a model for American Apparel and Levi´s. 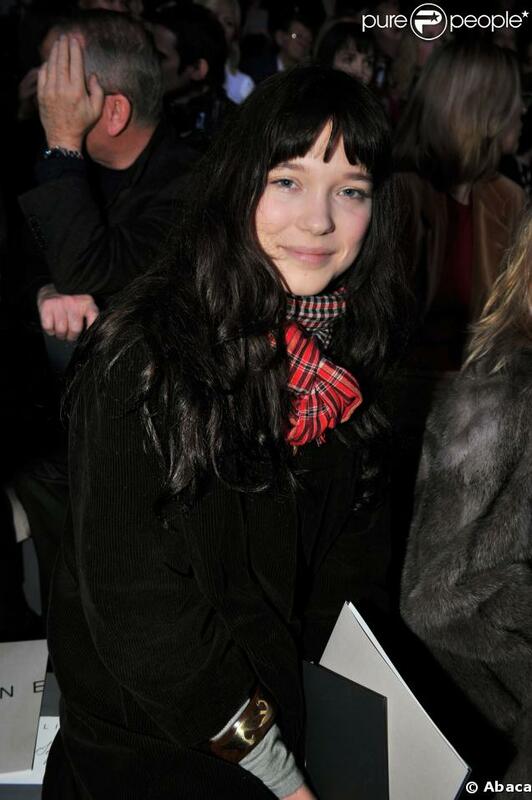 Granddaughter of Jérôme Seydoux, Chairman of Pathé, and grandniece of Nicolas Seydoux, Chairman and CEO of Gaumont. I love that last picture of her, I even posted it on the beauty inspiration thread a while ago. She's very pretty. Haven't seen her in anything besides the Levis commercial though. Which movie is she nominated for? I knew that Garance Doré face wasn't genuinely pedestrian. love her black+red ensemble at the Cesar's cocktail party, and her Levi's commercial, of course!. thanks for starting this, beatgobum!, something tells me I should subscribeee!. she´s nominated for La belle Personne, i guess the cathegory is best newcomer or something like that. I saved some of those street style photos without knowing she's an famous!...cute pictures with Louis Garrel..Thanks for starting the thread! She's so beautiful, thanks for starting the thread! she's gorgeous, and with any hair color she feels like ! She is so beautiful, i like her ! I love the first picture in post # 18 and the second in 19.